Psion 7535 rechargeable Lithium-Ion battery pack, capacity 1900mAh. 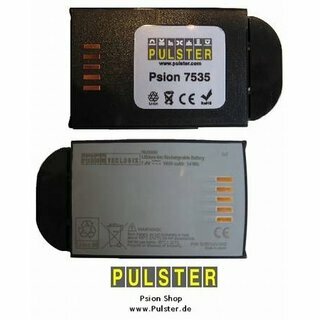 High quality battery, replacement for HU3000 "Battery - 7535 - 1900 mAh Li-ion", P/N: 1080141. Suitable for Psion Teklogix 7535 G1 + G2. What you get: Psion Teklogix 7535 battery 1900mAh Lithium Ionen. Regular Teklogix price 132 eur incl. VAT. Quality product made in Germany (non-oem), please buy cheap China stuff elswhere. We sell a lot, all customers are happy.